Its shares are the industry’s best performer of the past year, and its multiple leaves sleeker rivals for dust. Yet earnings are only so-so. Investors may be expecting a sale, or only clocking short-term results. 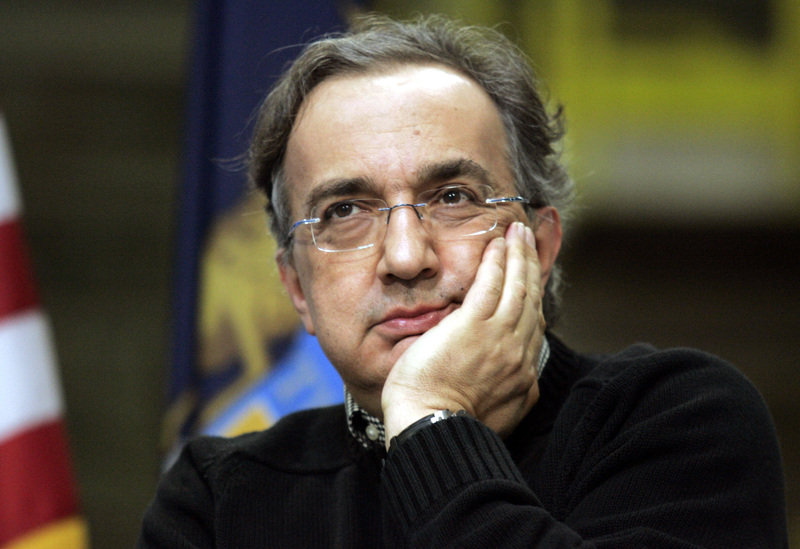 It’s a tricky lead for CEO Sergio Marchionne’s successor to defend. Chrysler Group LLC CEO Sergio Marchionne listens during a celebration to launch the all-new 2011 Jeep Grand Cherokee at the Jefferson North Assembly Plant in Detroit, Michigan May 21, 2010. Fiat Chrysler on Jan. 25 reported fourth-quarter sales of 28.9 billion euros and net income of 804 million euros, both below analysts’ expectations. Fiat’s pre-tax margin for the year rose to 5.6 percent, twice the level from a year earlier and above consensus of 5.3 percent. The group’s industrial debt fell to 2.4 billion euros at the end of December. The company forecast 2018 revenues of about 125 billion euros. Shares in Fiat Chrysler were up 2.5 percent at around 20 euros a share as of 1315 GMT.